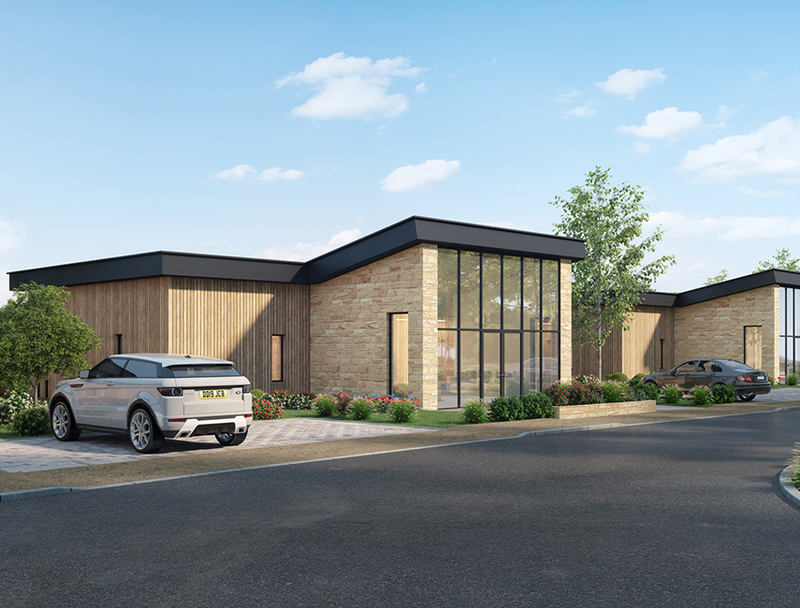 The JCB Golf and Country Club reflects the bold, ambitious vision of Lord Bamford, Chairman of the iconic construction and agricultural equipment manufacturer -JCB: nothing less than the creation of a tour-ready contemporary masterpiece in course design. 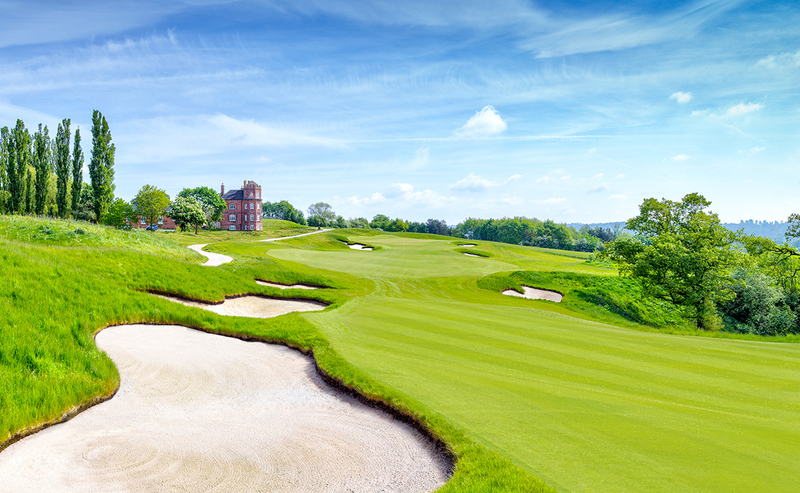 Set amid the lush green rolling countryside of Staffordshire, the course along with luxury accommodation and dining offers the ultimate in golfing retreats. When it came to creating a golf course, characteristically, JCB wanted the best. 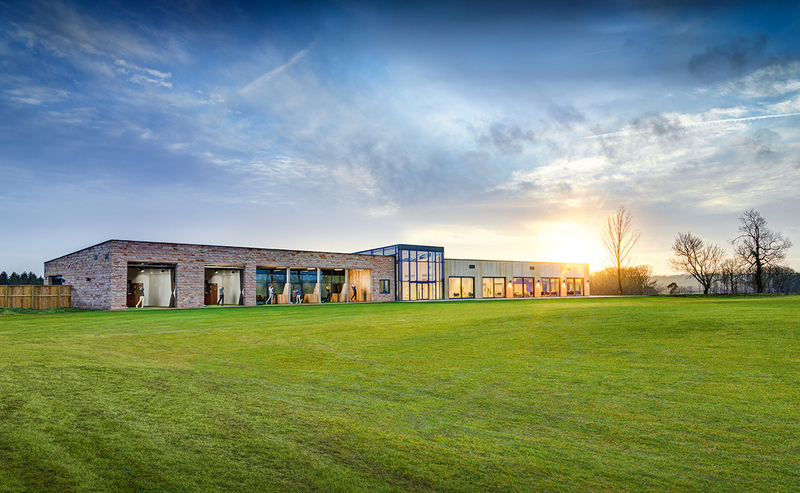 So, they commissioned the internationally-renowned Robin Hiseman of European Golf Design to create a stunning, contemporary layout in beautiful rural Staffordshire. 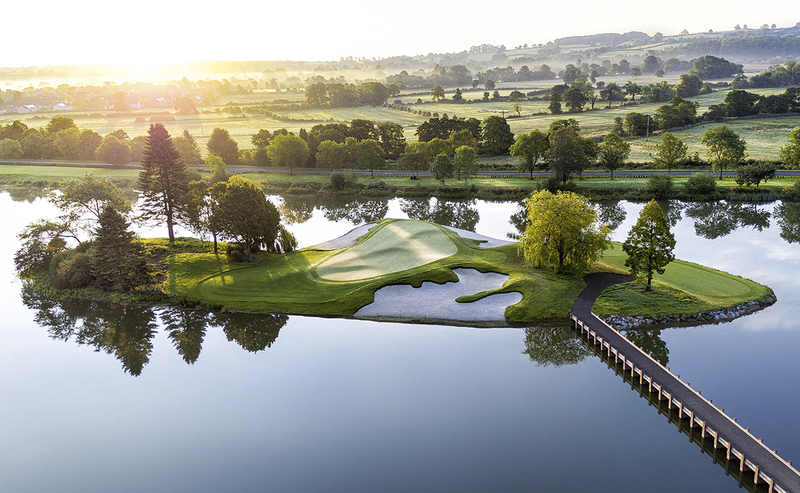 The 7308-yard par 72 course has been designed and constructed to the highest specification, challenging elite golfers at full distance yet allowing corporate golfers a highly enjoyable experience. It will soon become a premier, tournament-proven golf course, standing shoulder to shoulder with the very best in the world. The course design is burgeoning with imaginative design concepts that twist and turn around the natural contours of the site. It dips in and out of the woodlands and seamlessly brings the existing water features into play. 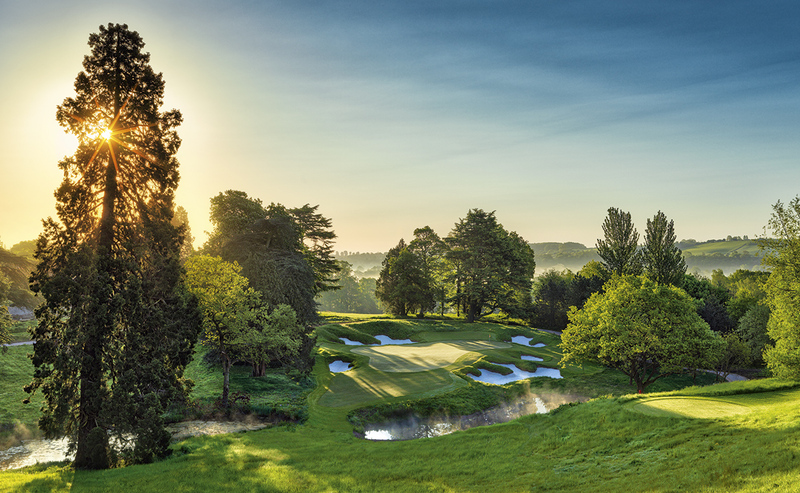 Spanning 240 acres of rolling countryside, the JCB Golf course has been designed and built using industry-leading technology to create aesthetically appealing tee shots, wide, sweeping fairways and interesting, yet fun greens complexes. 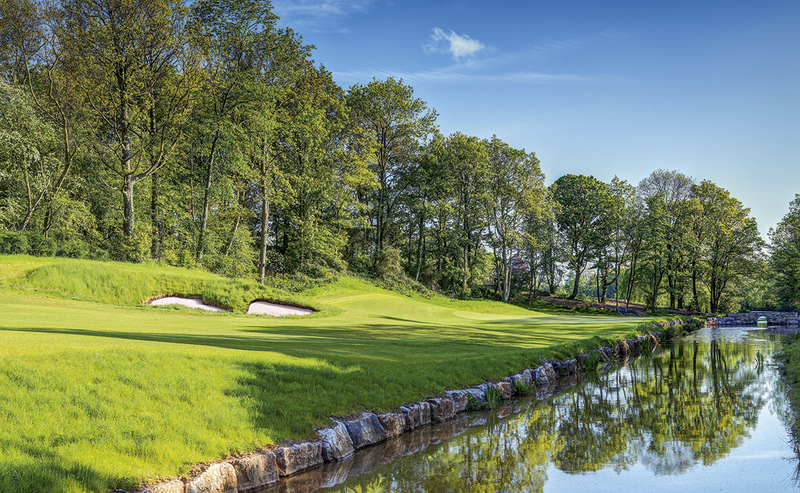 Alongside the stunning scenery, this course has true construction innovation running right through it. Nestled within the course, our luxury lodges blend perfectly into the surroundings. 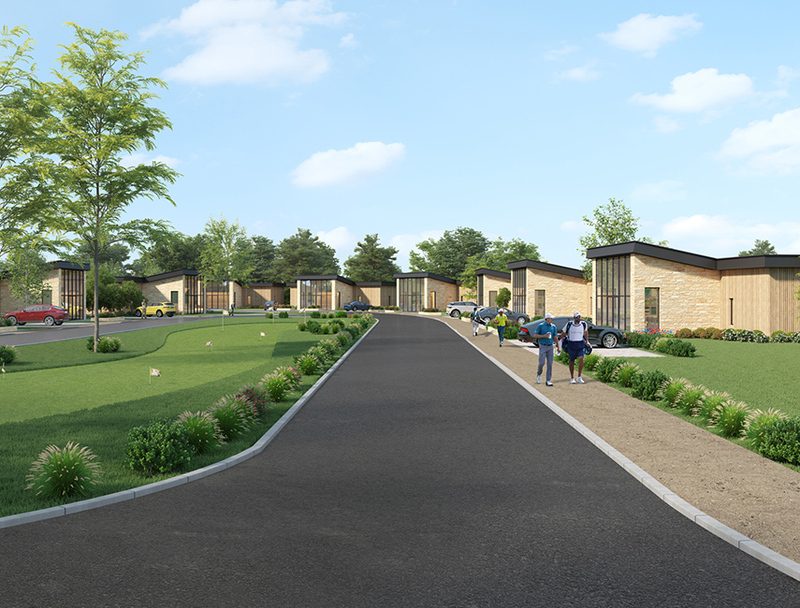 They can cater for up to 8 people and feature both communal living space and room for privacy. All 40 rooms will be available exclusively for our members. Relaxing in one of our luxury lodges or unwinding in our clubhouse, surrounded by stunning scenery, will provide the perfect inspiration for your next round of golf or lesson. 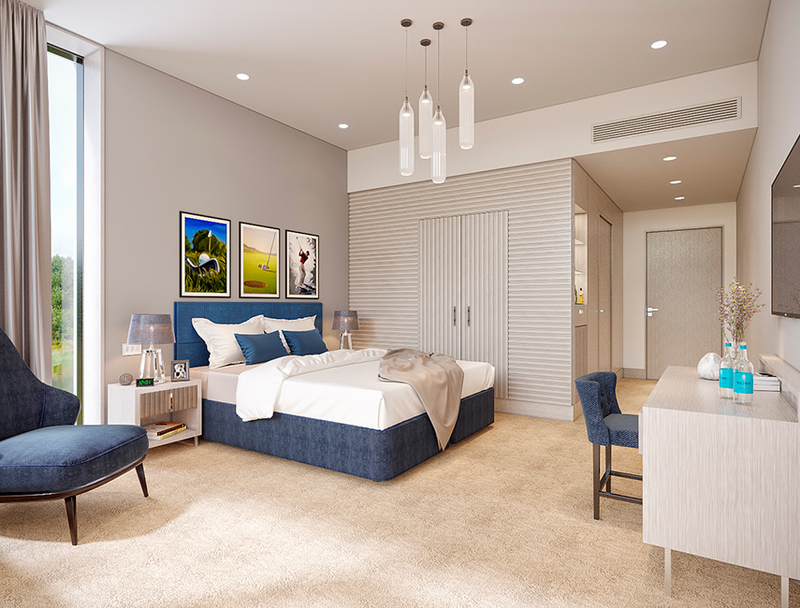 Whether you're just finishing a round or winding down for an enjoyable evening, our exclusive clubhouse and luxury lodges will offer you the perfect space to relax and unwind. The Golf Academy continues the theme of a world-class facility, where students,members and guests are all able to learn and hone their skills in a relaxed yet positive environment. 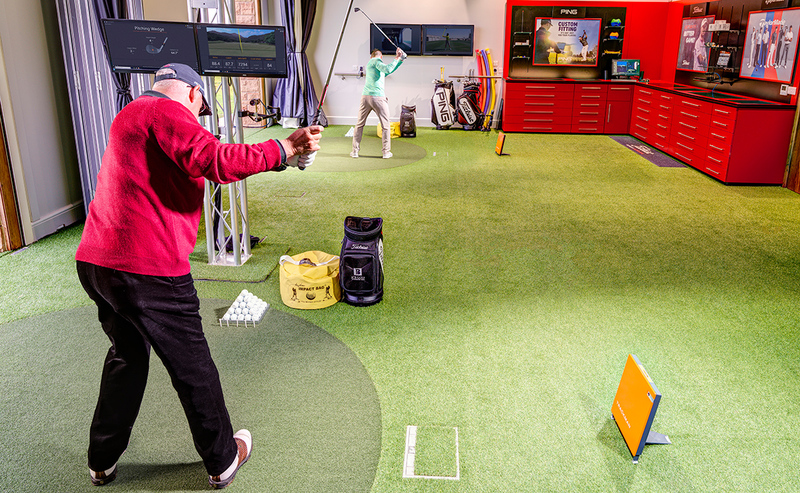 The Academy boasts state-of-the-art training facilities utilising the latest technology to help golfers take their game to the next level. John Howells joins us from his previous 7 years in the Middle East where he was the Senior Instructor at the Butch Harmon School of Golf Dubai, working alongside some of the best players and coaches in the world. 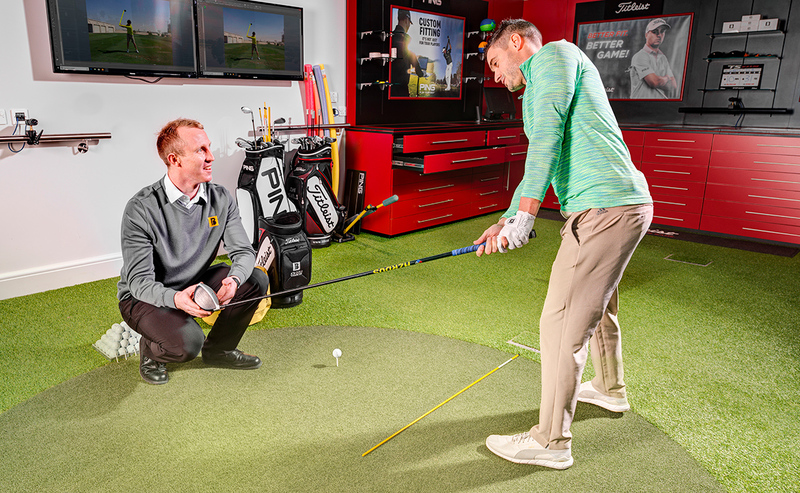 The Tour Fitting Experience in our first class studio allows players to test equipment options from our academy partners. 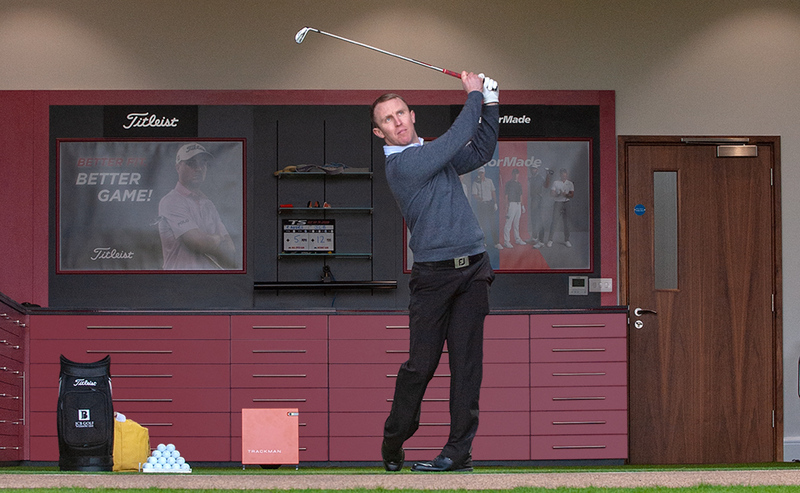 Titleist, Taylormade and Ping offer the latest in custom fit technology. 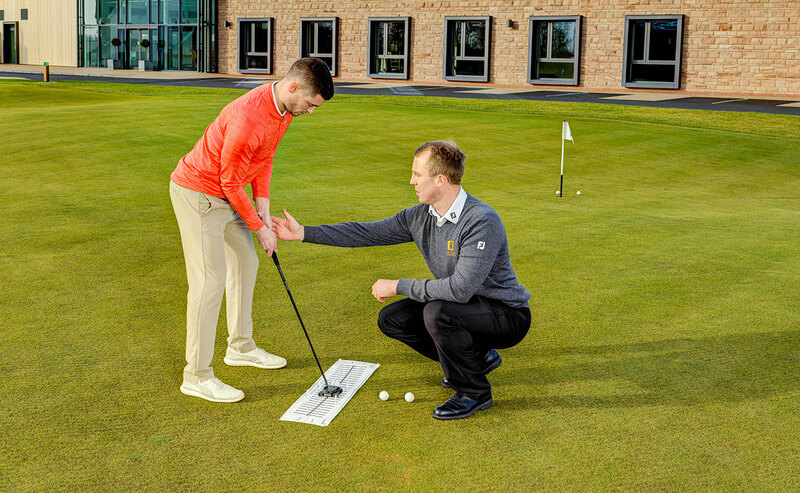 Designed for golfers of all abilities, one-to-one coaching lessons from our TPI certified and PGA Professional instructors will improve your game dramatically. The Academy is equipped with cutting-edge technology and boasts some of the worlds latest video analysis coaching studios. Using the latest monitor technology such as Trackman 4 and GASP, our instructors are able to analyse players weaknesses and strengths to help perfect their game. We were humbled by Gary Player’s praise of our green complexes following his visit and our world-class putting and chipping facilities provide a real taste of what to expect on the course. The JCB Golf Academy retail outlet is a fully stocked boutique for all your golf apparel, accessories, memorabilia and hardware. 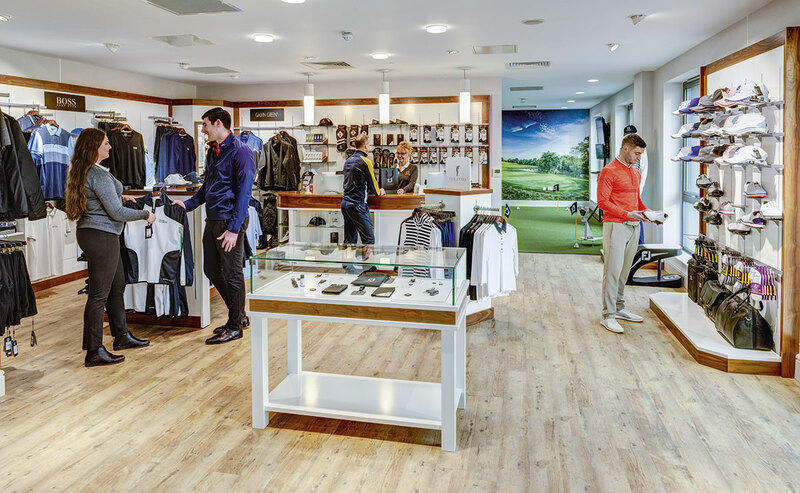 Whether you’re looking for that special branded item as a memento of your day or the perfect gift for a friend, the JCB Golf & Country Club retail experience will satisfy all of your needs. For further information please contact us by clicking enquire below.